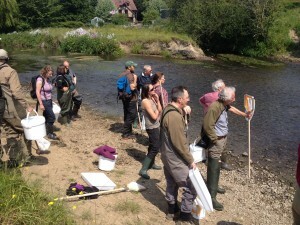 Bristol Avon Rivers Trust » Education » Latest News » New Riverfly Partnership training sessions! New Riverfly Partnership training sessions! BART are excited to announce that we will be running a number of Riverfly monitoring training sessions over the next year, thanks to Awards for All funding from the Big Lottery Fund. Please click here or go to our Riverfly Monitoring page Under ‘What We Do’ to find out more.